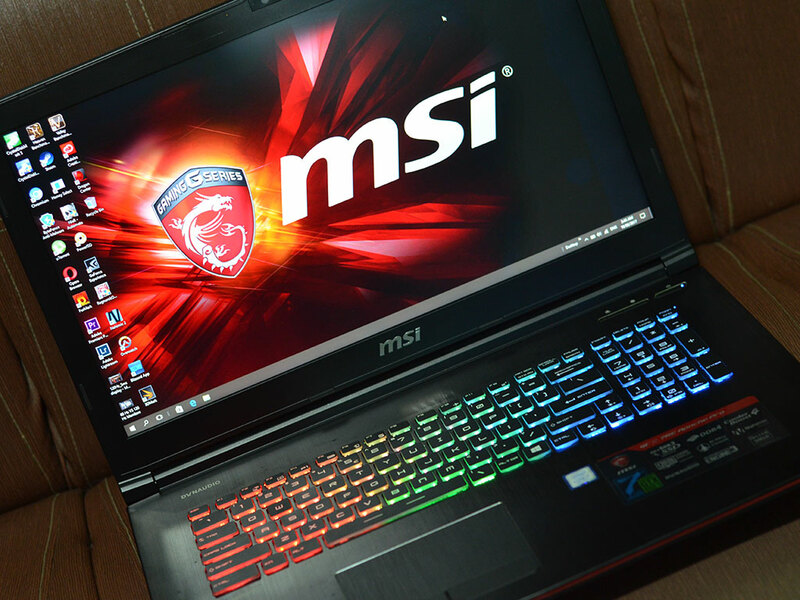 MSI has released a new entry-level gaming laptop that's powered by an Intel Core i7 Kaby Lake processor and GeForce® GTX 1050 Ti 4GB GDDR5 graphics card with a 120Hz display. The GeForce® GTX 1050 Ti rocks in between mid-range to upper-class graphic performance to PCs and laptops. 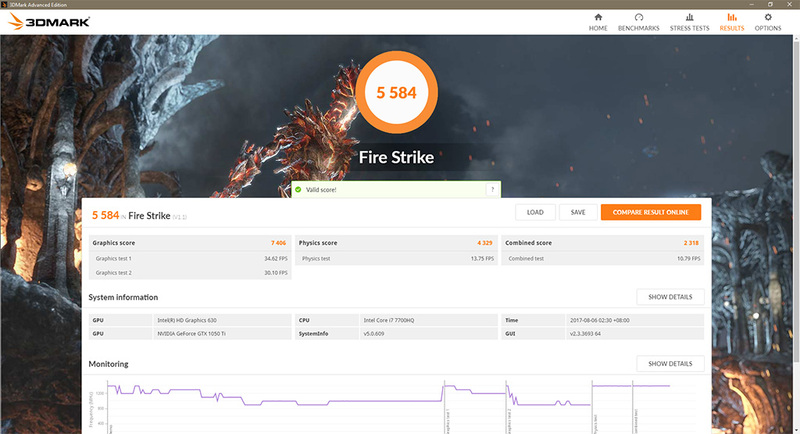 So should we expect a good performance to this gaming laptop? This entry-level gaming laptop weighs about 2.98 kg which belongs to the lighter 17-inch laptop category and you can carry this one in your backpack without much stress in your back. 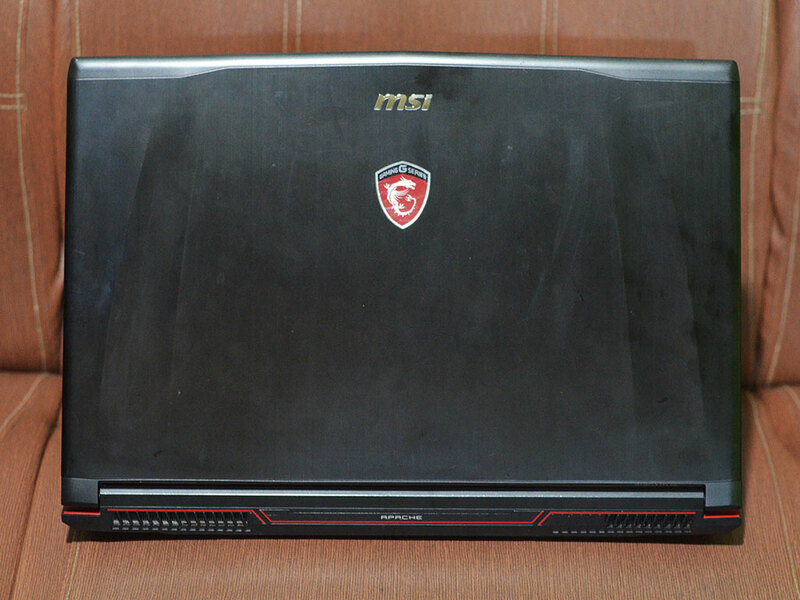 The overall build quality of the MSI GE72 7RE Apache Pro is really good as it has a brushed aluminum casing which is not common to other budget entry-level gaming laptops. 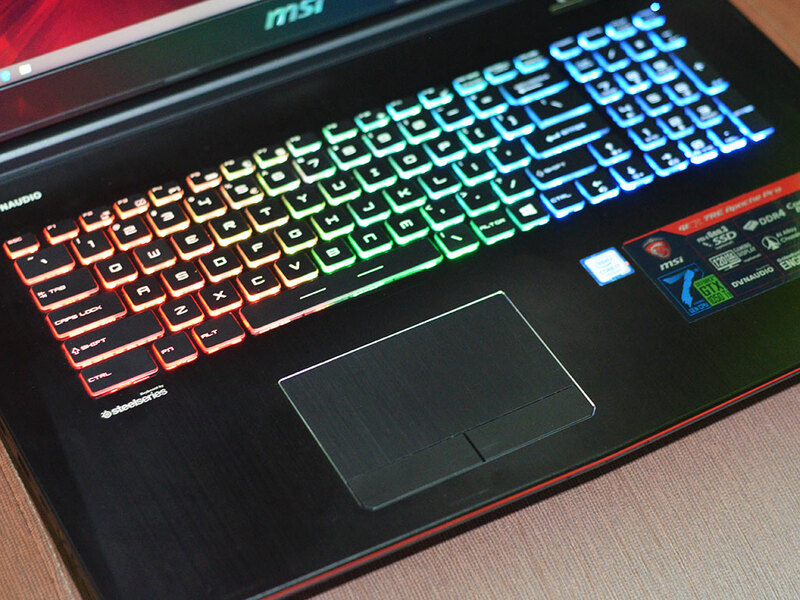 It also comes with a SteelSeries keyboard with colored led backgrounds and nicely printed keys that are easy to read. Overall the laptop looks premium and sturdy which will last long. One thing I didn't like is that it's a fingerprint magnet and you might need to constantly wipe it to keep it clean. 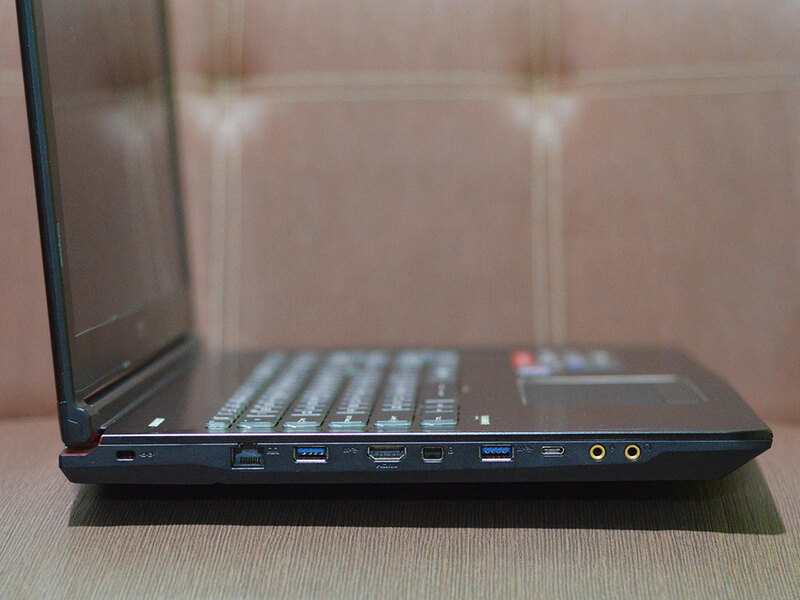 What I really appreciate is that this laptop has plenty of ports which again is better than other laptops. The right side has the SD card reader, USB 3.1, AC power port and the DVD Super Multi drive. The left side comes with the Kensington lock, Ethernet, HDMI, Display, USB 2.0 & 3.0 Type-A, USB-C 3.1 Gen 2 (sadly not Thunderbolt), mic and headphone ports. 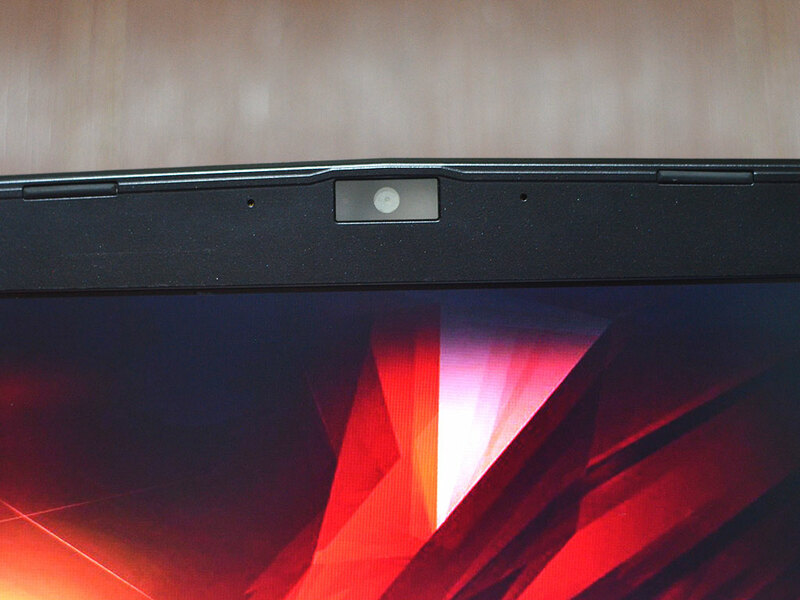 You will love this laptop for the devices that you can plug directly into it. The keyboard is a real eye-candy and anyone will surely appreciate the built-in SteelSeries RGB lit keyboard on board this laptop. 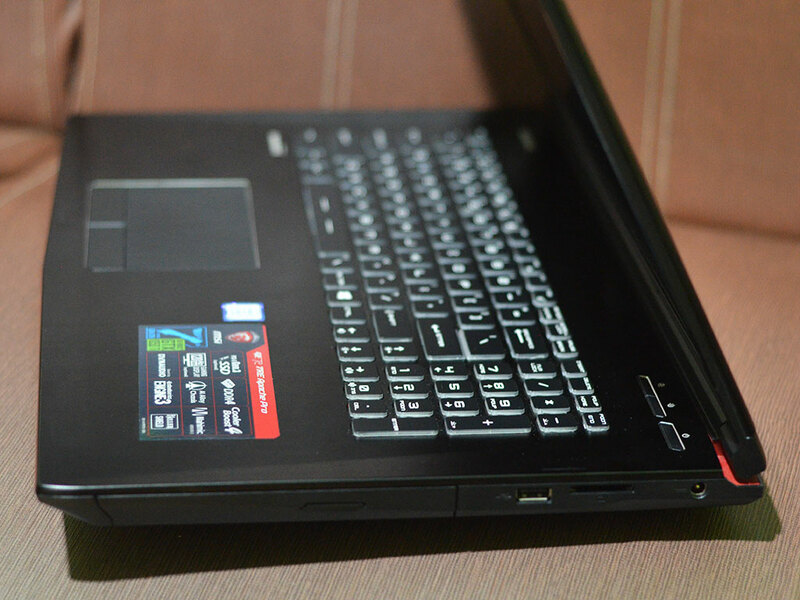 The laptop is also large enough to accommodate a larger keyboard as well, as it comes with number keys as well. 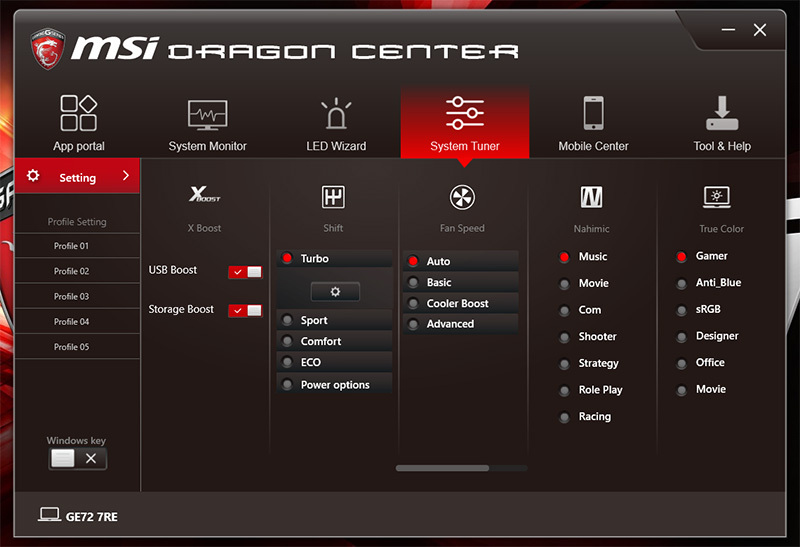 The keyboard also has a special button where you can change the behavior of the LED lights without opening the MSI Dragon Center software. One gripe in the up, down, left, right keys though, it's not in the standard placement of most keyboards so I mostly misclicks other keys at times. The trackpad is nice to look at and mimics the brushed aluminum case, but the tracking is not as accurate as other MSI models but it's good enough for most users. 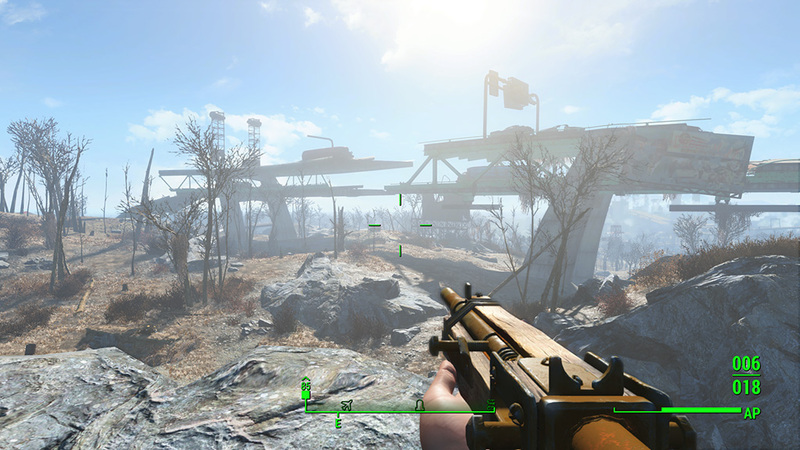 The screen refresh rate is great as well with the 120Hz (5ms) refresh rate, surely you won't miss any bullets in your FPS games as you won't experience any screen lags. It also very wide which is perfect for games, video/photo editings, coding, etc. 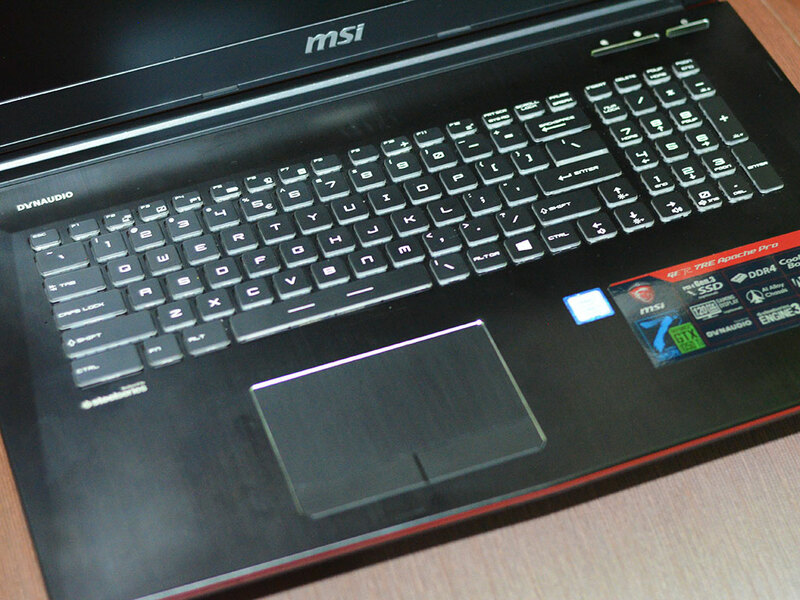 Gaming with this laptop really provides smooth and pleasant experience especially with the more demanding games nowadays. It also features True-Color that optimizes images via different preset scenarios. 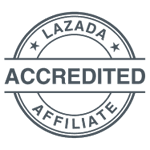 It is able to display up to 100% sRGB and 76% AdobeRGB which are good for photo and video editors. The webcam is good for any HD video calls but other than that, it may be okay for some selfies but it's not really good in picture quality. 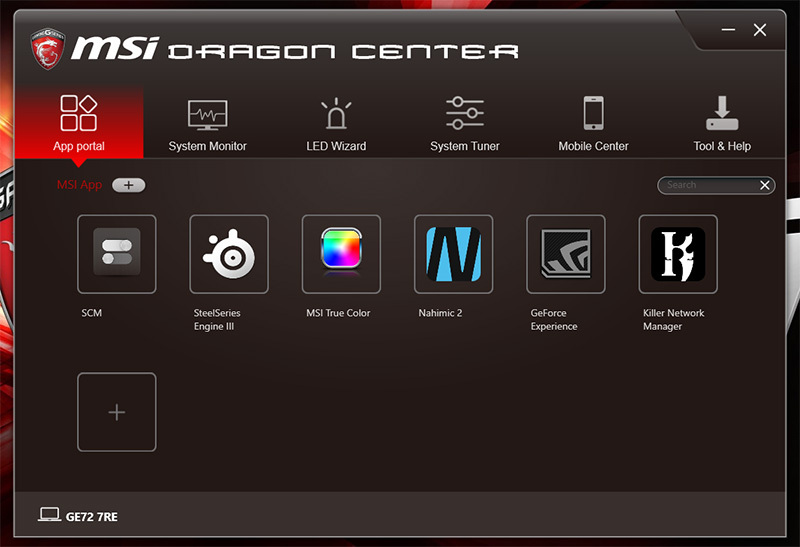 The MSI GE72 7RE Apache Pro comes with a bundled software called the 'Dragon Center' where all information and laptop controls are found. 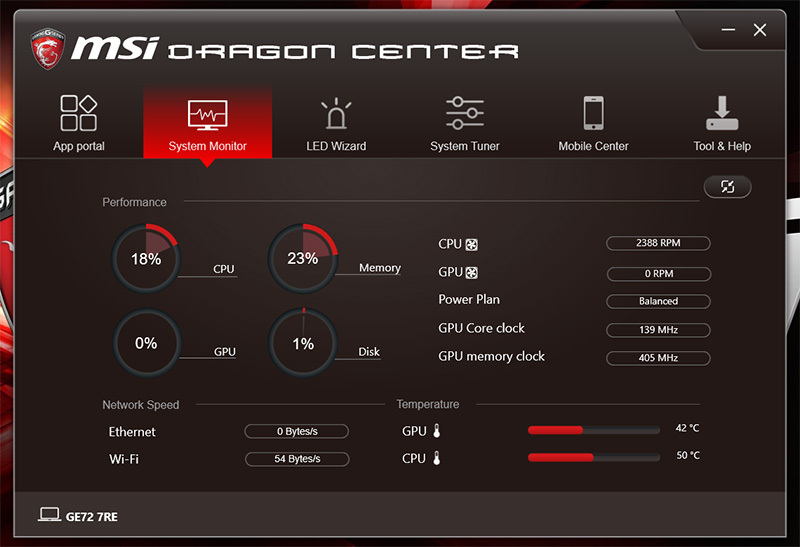 You can monitor the CPU, GPU, memory, disk, fan speed, power options and even the temperature. 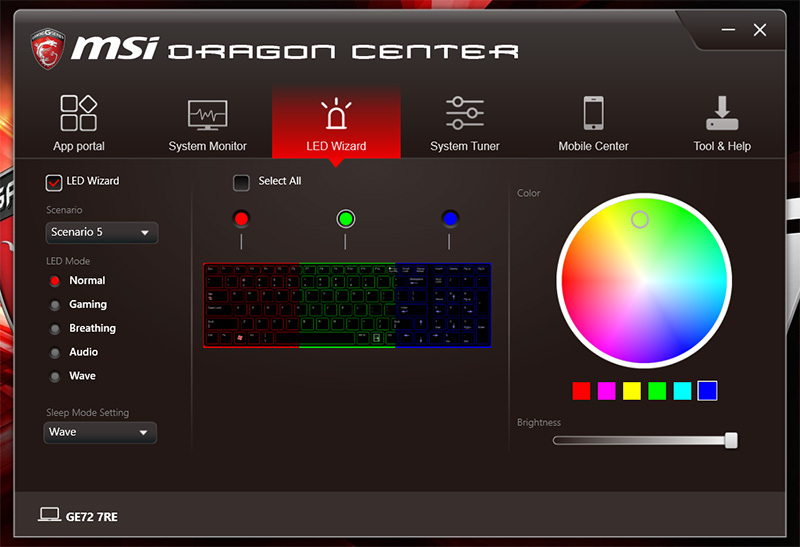 It also allows you to control the RGB backlit of your keyboard, tune your laptop by controlling the fan speed, boost the USB and adjusting the power options. You can even connect your mobile phone with the app to control these too! The MSI GE72 7RE Apache Pro comes with Kaby Lake Core i7-7700HQ processor and replaced the former Skylake Core i7-6700HQ. This new processor architecture brings 10% slight performance boost as they have the same clock rate. In systems tests, as expected the GE72 7RE performs really well with 5,815 points in PCMark 7. While it scored 743 in Cinebench R15. 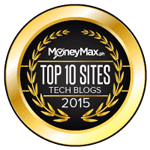 When it comes to storage performance, it's real speedy even running on SATA III SSD which is limited to 500 to 550MB/s which is good for most people. Overall it's better than the speed of an HDD, the operating system is fast in booting and in operating. We can't really expect a super high-end speed here as it's an entry-level laptop. It also comes with a 1 TB hard drive with a 7,200 rpm. 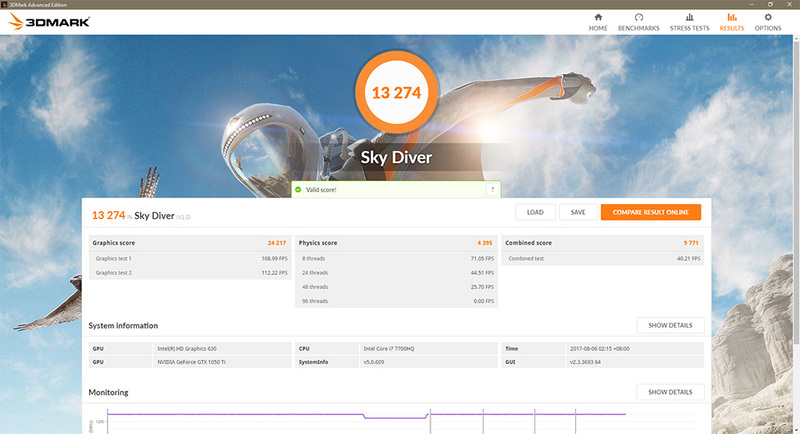 As you can see in the results above, the HDD has a READ speed of 119.4 MB/s and a WRITE speed of 117.5 MB/s which is really fast for a hard drive, because this laptop has built-in 7,200 RPM HDD that's good for storing large files. Meanwhile, the 128GB SSD has a READ speed of 552 MB/s and WRITE speed of 377.9 MB/s. This is really super fast when compared to a hard drive and everything in your Windows operating system would load fast including boot-up times. 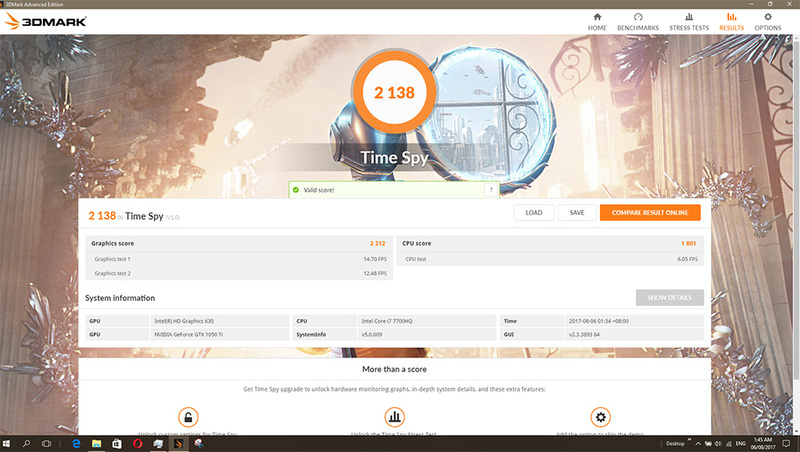 While this is a major upgrade for everyone, experienced users like heavy gamers and video editors would likely want faster speeds as this one is running on SATA III speed. Now, this is the part where most gamers and aspiring ones check these kinds of laptops before buying one -- the graphics card. It comes with a GeForce® GTX 1050 Ti graphics card which is a mobile variant and comes with 4GB GDDR5 video memory. It is slightly lower in performance versus desktops but at the same time, you can save power as it is lower in power consumption in watts. Overall, I liked the gaming performance to this laptop, it's really smooth as the screen also helps to the experience as well. 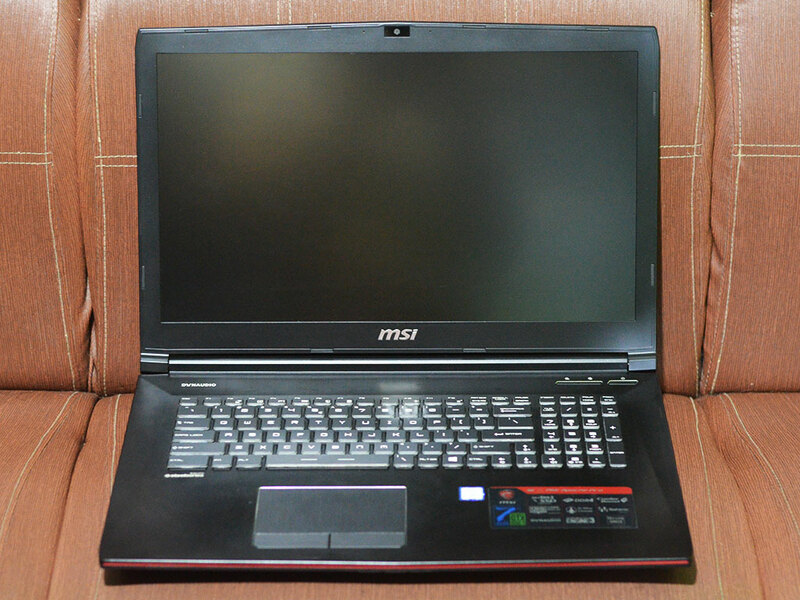 The battery life is just okay but not really impressive for today standards, but we understand that MSI didn't place much battery capacity to this laptop. The GE72 7RE comes with 51 Wh (6-Cell Li-Ion) and web surfing can get you up to 3 hours while using WiFi with 50% brightness. As for gaming, it can last up to an hour of use. The GE72 7RE is a gaming notebook of choice to all upgrading from standard laptops and serious players that care for good FPS performance and on a tight budget. 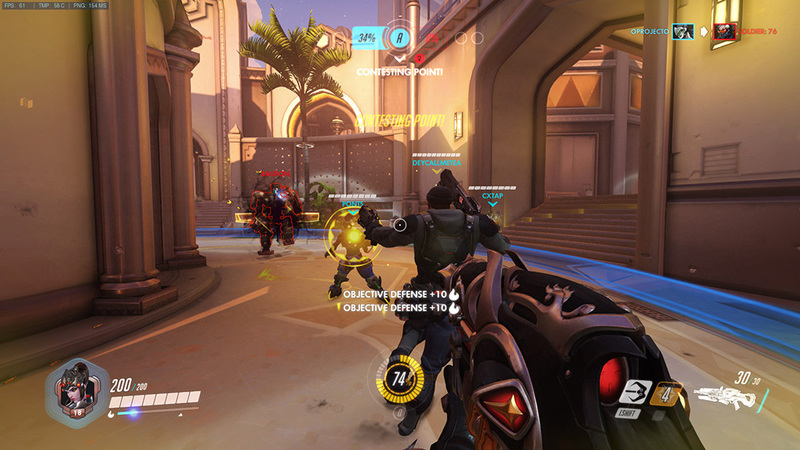 The notebook is powered by the GeForce® GTX 1050 Ti 4GB GDDR5 which allows most great popular games (some triple-A games too) at 1080p resolution to be played in a smooth 60 FPS gameplay (Overwatch, CS:GO, Dirt Rally 4, Fallout 4, etc.). Overall it ticks all the boxes for most gaming needs, it may lack some features but don't expect everything to included in this entry-level notebook as some specs need to be compromised to have a good performance and competitive price. Don't expect to run 4k videos, games or a good VR experience on this as it's not intended to run those settings. 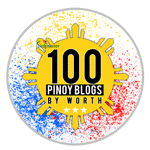 Most people (especially to those who'll be upgrading from regular laptops) will be happy with this notebook but experienced gamers/editors would definitely want to upgrade to a GTX 1060 powered laptop or above.